A giant climbing turtle is the latest offering from play equipment specialists Art Dinouveau, offering hours of climbing fun and the added advantage of a place to hide in the ‘belly of the beast’. Renowned for their unique commercial art and sculpture, Art Dinouveau excels at nature-inspired play equipment and botanical concept furniture. Their latest offering is no exception! Combining artistic flair with fastidious attention to detail, the turtle climber is a guaranteed winner and is sure to facilitate imaginative play in any playspace. 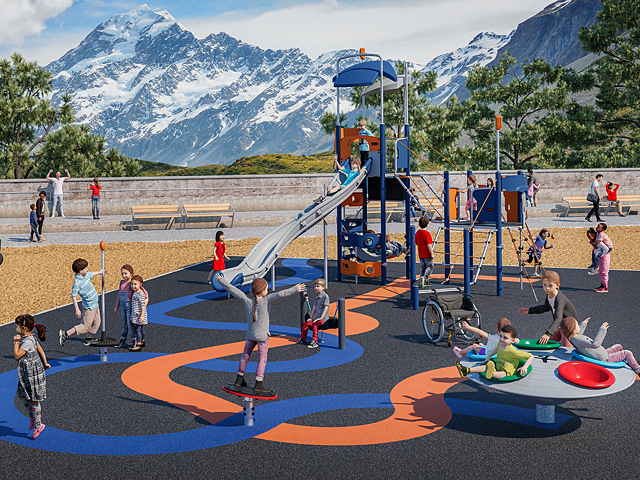 Designed for fun, the realistically rendered reptile is formed as a giant dome with cutouts, offering children an interactive play experience as both a cubby and a climber. The wide entrance cut within the arched dome grants access to the ‘belly of the beast’, to create an immersive experience for children of all abilities. The giant turtle head offers quirky charm and is anchored at ground level as an added option for climbing and jumping. Set into blue rubber-crumb softfall, the turtle looks like he is swimming through the ocean, while brown softfall or green artificial grass turns him into a lumbering land tortoise. 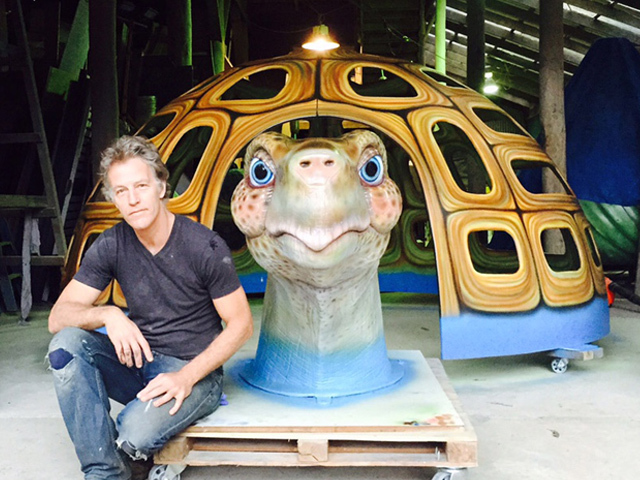 Created by Art Dinouveau artist, Alan Groves, the giant turtle head is first created as a steel armature covered in clay, then sculpted into the delightful final character. 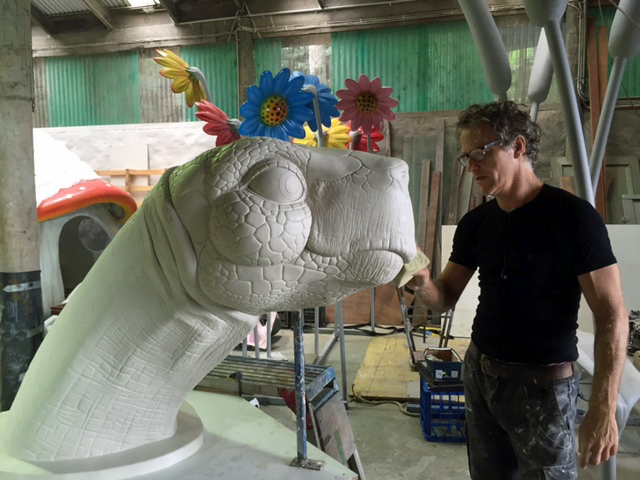 Experienced artist, Alan manipulates the clay to reveal the creature within. 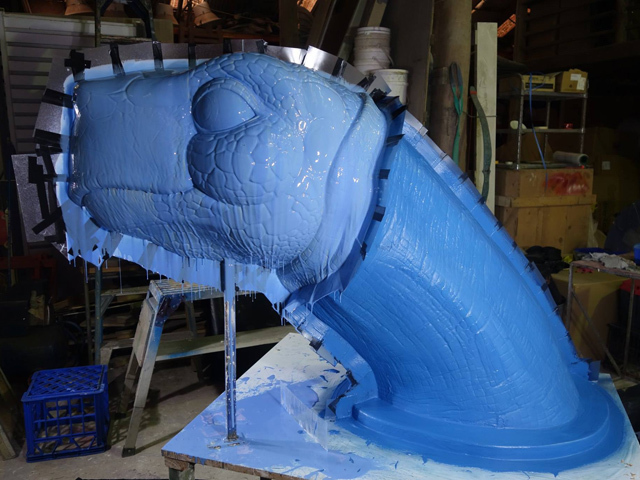 Once complete, a mould of silicone rubber is made from the clay sculpture then cast in fibreglass. 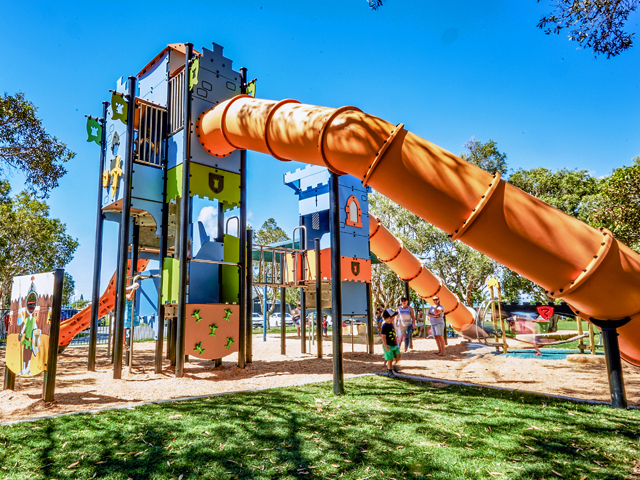 An internal steel reinforced armature ensures the turtle head is strong enough to withstand the rigours of children and kidults in action and is industry compliant. 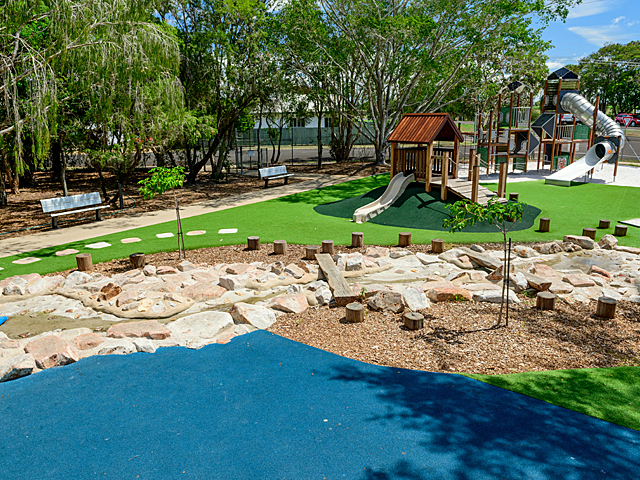 The turtle shell dome was initially designed in miniature, on a small-scale fibreglass dome, to ensure the design would offer a challenging yet safe play experience for children. 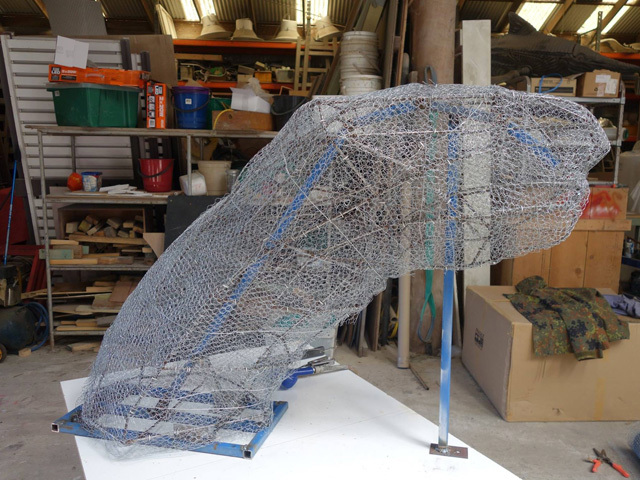 Using the existing 3.6m hemisphere mould, the dome was cast in fibreglass before sections were cut out and removed to reveal the turtle shell concept. 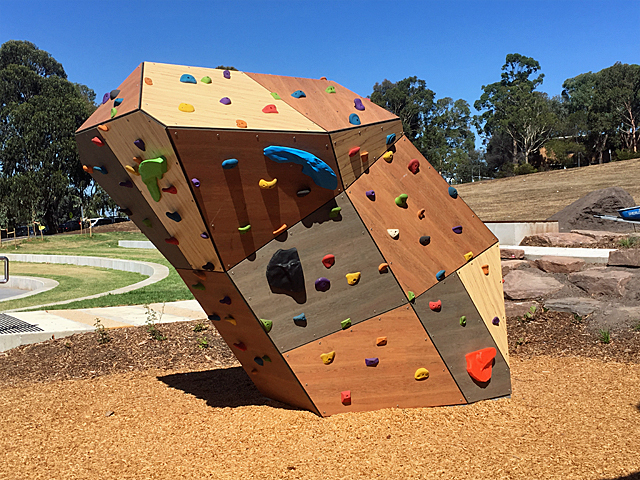 Each climber is hand-painted and finished in two-pack urethane for vibrancy and durability and can be customised to meet individual client requirements. 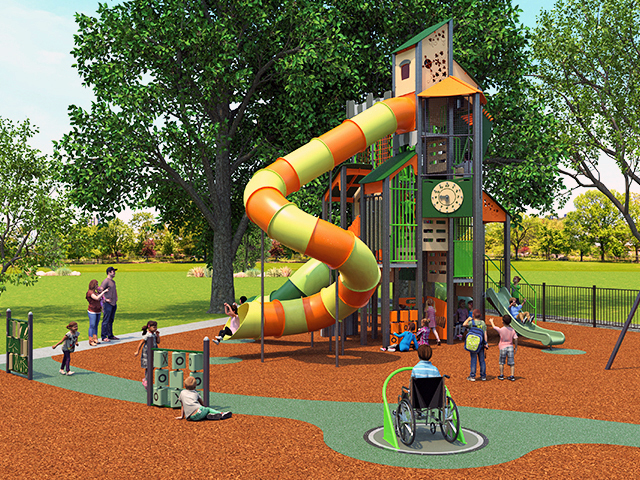 The turtle climber concept was originally conceived by playspace designer, Ric McConaghy. It was commissioned by Willoughby Council for Hallstrom Park, then designed and created by Art Dinouveau. A second turtle climber is also featured at the Little Learners Early Education in South Morang, Victoria. The 3.6m dome mould used to create the turtle climber can also be utilised to create a variety of custom climbing structures, caves or cubbies. 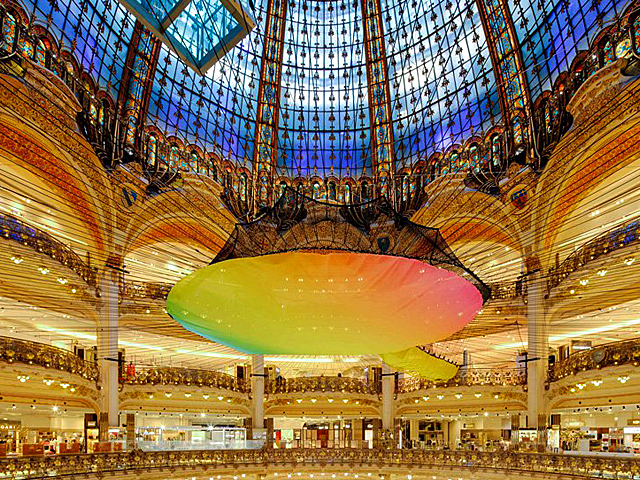 By cutting out different sections of the dome and finishing the structure in a variety of colours and patterns, a unique climber is created each time. Next up on the Art Dinouveau production schedule is a beehive climber with hexagonal holes depicting the honeycomb lattice.